When we crossed the border into Uganda it was clear that we were back in Africa..no more tarmac roads and no more gardens. The scenery was however just as spectacular as it was in Rwanda with hills and valleys of fruits and vegetable. The agriculture soon disappeared and revealed what the hills looked like before the human inpact. They were covered in lush thick rainforest all shades of green imaginable, with giant ancient trees covered with ivy. It was easy to see a gorilla living in these parts and it the impressive plantations a little less inspiring. 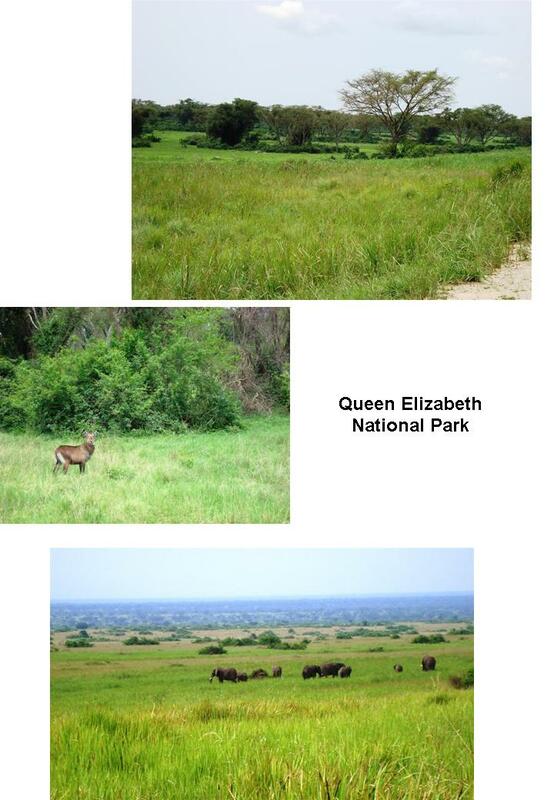 Most of Uganda’s Parks and tourism centres around the southwest of the country. Our first stop would be an 8000 year old lake called Bunyonyi. The pictures in the books did the area justice and we were lucky to get a campsite on a well maintained lawn. Tan Lil and I were so pleased that we didn’t even mind the afternoon rain which unbeknownst to us would now occur everyday. We stayed there for two nights and had a delightful dinner the second night at the restaurant where the most expensive thing on whole menu was R55/around U$7.50. Everything here in Uganda is really very affordable, especially the fruit and vegetables. Let me make the South Africans at home a little jealous…Here you buy a nice large ripe cream avocado for about 25cent (ZAR), a bunch of bananas for about R2.00, five tomatoes for R1.25, and my personal favourite a large, sweet queen pineapple for R2.50. Poor Marius and Oom Nick has all their days trying to convince Tan Lil and I that we really do not need another avocado! Its also worth noting how attentive the hosts at the accommodation is to a guests every need. At one of the places Tan Lil enquired about potatoes used in the restaurant and they just gave her around two kilogram. 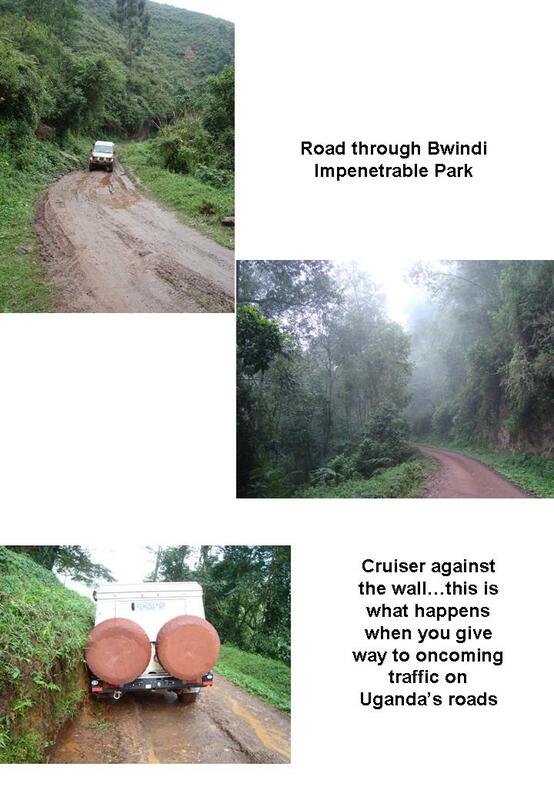 From Bunyonyi we headed north toward Bwindi Impenetrable National Park. 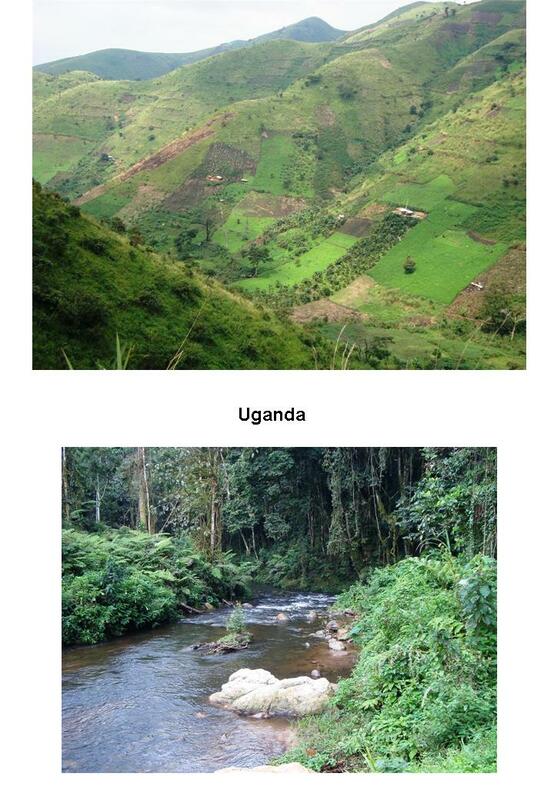 If you ever want to go Gorilla tracking, this would probable be the best choice. We were amazed to find that unlike any other National Park in the countries we had visited, you can drive through most parks in Uganda without paying entrance fees. 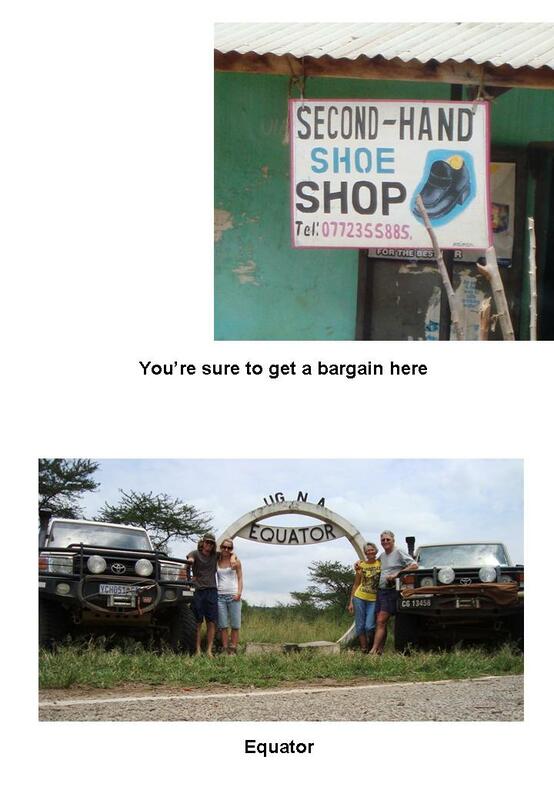 You only pay once you want to do some activity like gorilla tracking or hiking ect. 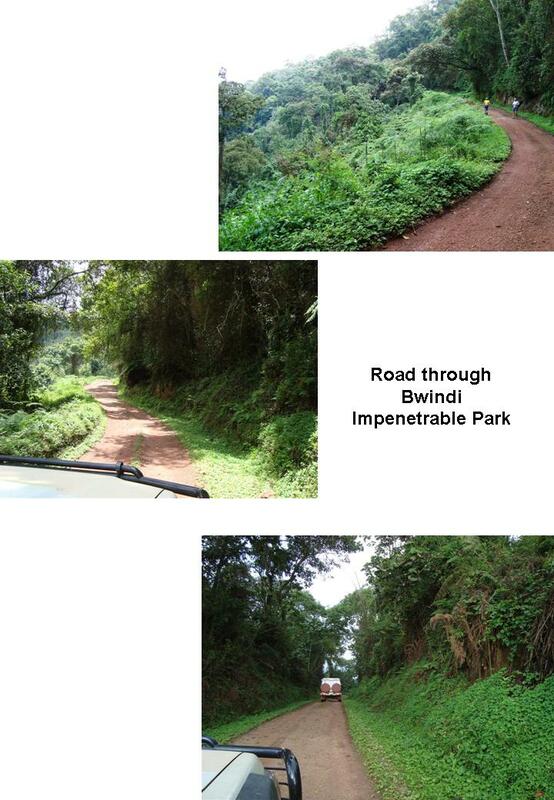 The hills and valleys of the Park are covered in thick lush rainforest but instead of a large tarmac road spoiling the natural environment, a small one track gravel road gently curves its way around the mountains. There were exotic-looking monkeys, giant butterflies, mushrooms and other strange flowers lining our jungle road..and then it started raining! That night we slept in the clouds at the highest point in the Bwindi Park. I doubt it could be any greener anywhere in the world. It was here that I also discovered the wonder of gumboots..you never have to give a second thought to where you walk again..even if the mud is ankle high! The roads were slightly worse than we expected and we ended up camping at the northern gate of the park on our third night in Uganda…we had driven a wopping 230km in three days! The next day we finally emerged from the forests to find ourselves in completely different vegetation. The forests cleared and now we were surrounded by the green Savanna-looking vegetation of the Queen Elizabeth National Park. Everywhere you looked you could see some kind of antelope. Once again we amazed that you could drive through the park without paying an entrance fee. We saw almost as much animals as you would driving through Moremi Park in Botswana without even entering the area where the game was concentrated. 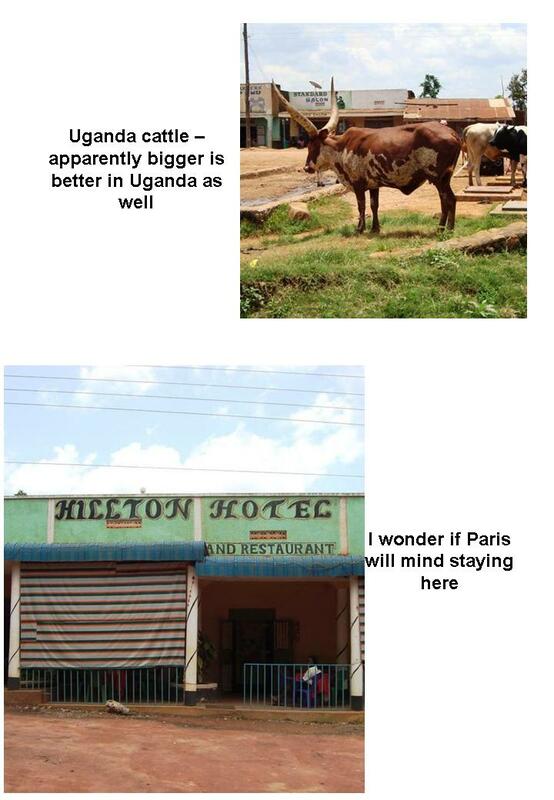 We continued north passing over the equator to place called Fort Portal. This lovely little town is situated at the bottom of the highest mountain range that is not volcanic in origin, the Rwenzori Mountain range. We drove into the mountains to Semlike National Park but could unfortunately not stay at the campsite without paying a ridiculous amount for park fees and rather drove back to the town area. The next day we made our way further north on a very bumpy, almost one-track road to Hoima, a little town next to Lake Albert. Incidentally, this is the main road to Hoima from Fort Portal. We’ve been speculating on how terrible this road would be if it was wet…and it just started raining…. We got to Hoima without any problems and continued further north to Muchison Falls National Park. 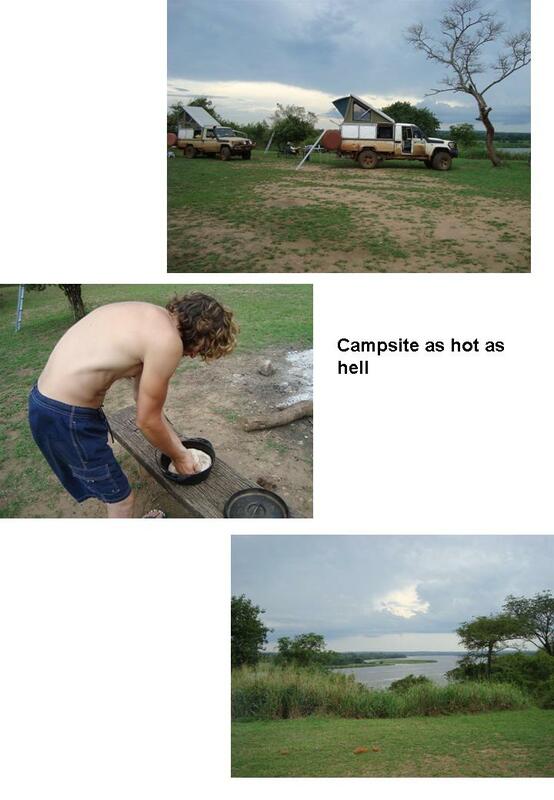 Unfortunately we couldn’t drive through this Park without paying and camped at a lodge jus before the entrance gate. It was one of the hottest areas we stayed in as there were only two small thorn trees for shade. It was so hot that the cold shower wasn’t even a problem. 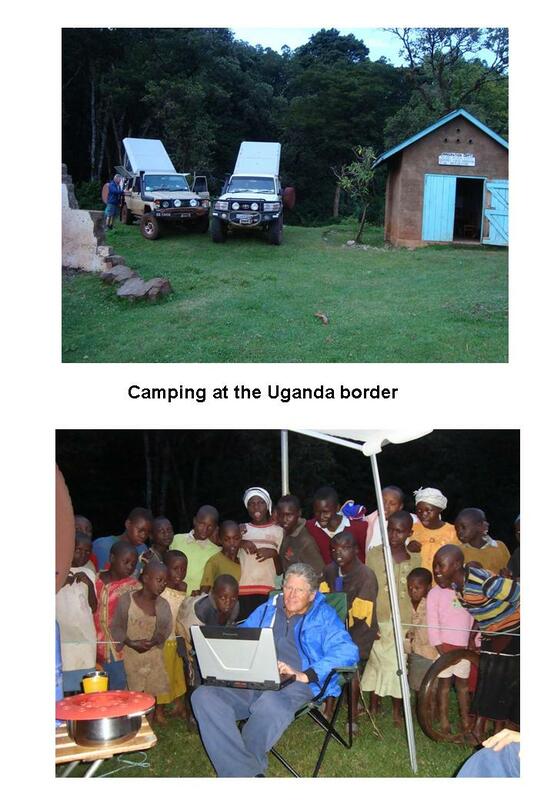 We stayed there for two days washing and baking bread before we headed east across Uganda to Mount Elgon at the Kenya border. Driving over Mount Elgon to the Suam border was a beautiful route to the Kenyan border. We stayed over at one of the campsites overlooking Sipi falls cascading down in a total of four different waterfalls (I only saw three although they claim you see all of them). That night while still considering taking a hike to the falls, we started reading up on Kenya and decided that there was so much to see there that we’d rather drive to border as quickly as we could. The 95km drive to the border took slightly longer than we anticipated and we asked to camp on the grass next to customs office. Within minutes we were joined by a large group of curious faces watching our every move. Problem was they didn’t watch us from a distance, they had huddled around us like you would around a schoolfight..barely giving any room to breathe. Oom Nick finally made a rope perimeter around us to keep them at bay which worked like a charm. Wonderlik om julle so te kan volg met jul omswerwinge! Dankie vir die voorreg! BAIE geluk Lilian vandag met jou verjaarsdag. Vertrou jy het ‘n aangename dag, vol bederf van Nickgehad en dat die volgende lewensjaar net so vol avontuur sal wees as wat jy tans beleef! Alles wel hier by ons en Pierre hul verwag hul eerste dogtertie DV 4 April 2011! Groete en ‘n veilige reis verder! Dankie, dankie, dankie. Wonderlik om van julle te hoor. Ek was hoendervleis van kop tot tone sover as wat ek jul ‘update’ gelees het. Ons is dankbaar julle is almal gesond en dat ons Hemelse Vader sy hand oor jul het. Geniet dit vreeslik. Ons sien uit na jul volgende vertelling maar soveel meer daarna om julle ‘face to face’ te sien.